top, and there's a handful of elite level talents there. We won't know how deep this class will be until over a year from now but the top of the 2019 draft is looking very strong. 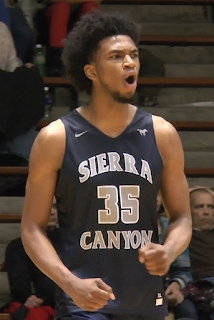 #1 prospect Marvin Bagley III might be the best prospect not playing in the NBA. 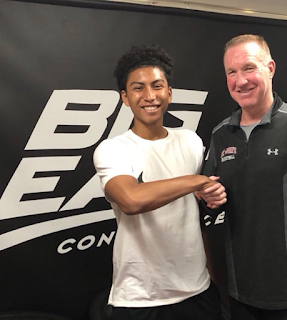 He's a man among boys at the high school level and projects as a truly dominant power forward who will only get better as he matures. He's made in the Kevin Garnett mold and is about as sure a thing as you can get. His burst and suddenness at 6-11 is outstanding and his skill level is very advanced for a young power forward. He looks NBA ready before his senior year of high school. If Bagley is the best prospect, Zion Williamson is certainly the most exciting. He possesses the type of athleticism that we've only seen from the likes of Vince Carter and LeBron James, and Williamson is built like a tank and has more power than past high-flyers that we've seen. He's also showing some point forward skills and a much improved drive and kick game. His explosive ability shows up in both the open court and half court sets and he is just starting to figure out how good he can be. He's not your prototypical SF prospect but hey, neither was LeBron. After the top 2 there's a glut of talent that is filled with intrigue and upside but some question marks as well. It'll be interesting to see which of these top prospects rise to the top, and which ones don't develop as quickly. Bol Bol is perhaps the most intriguing of the bunch. The son of the late Manute Bol, he's got insane length and a silky offensive game. At 7-2 he can step out and hit the 3 ball and handle in the open floor. He's a bit awkward on the court but he has a huge impact on both ends of the floor and if he can grow into his body and improve his coordination the sky's the limit. Sekou is a powerful wing player from France who is a menace on the defensive end and a freight train in the open court. His size and power are elite, like a bigger OG Anunoby, and he's got an emerging offensive game to compliment his great defense. His three point shooting is legit and his ability to get to the rim is undeniable. He might be the best Euro prospect after Luka Doncic. Another tall and lanky prospect with big upside is Moses Brown. He's got a chance to be really, really good but he's far from a sure thing. If he can gain lower body strength and improve his foot-speed he could develop into a high lottery talent. He's got a long way to go but his size, athletic ability and ball skills make his future very bright. Kostas could go in the 2018 draft but if he stays another year he could rise into the lottery in 2019. With Giannis blossoming into an NBA superstar there's a lot of intrigue with his brother Kostas, who is built like Giannis and flashes some of the same skills. Kostas is a wiry 6-10 athlete with great length and nice open court ability. Reddish is a big combo guard who can do it all on the basketball court. He's comfortable initiating the offense and also excels playing off the ball and scoring the rock. He's got an advanced mid range game, can get to the cup, and is very polished for young player. He's got the size and ability to defend multiple positions and he plays with high basketball IQ and good energy. Langford has all the makings of an NBA 2 guard with ideal size, great agility and a jumper that is as wet as the ocean. He doesn't blow you away with athleticism but he's silky smooth and plays an advanced and efficient game. Shooting will always be at a premium and Langford is one of the best shooters in any class. Shittu is a super long SF with nice versatility. He plays a bit like Lamar Odom, with great court vision and a polished offensive game. He's not an elite athlete but has unique speed and agility for his size, to go along with a smooth all around game. As with every draft class we'll see some late risers that are nowhere near the radar at this point, and we'll see a few of these top prospects fail to develop. But as it looks now, two years out, there are at least two elite prospects in the 2019 class and a whole world of intrigue in the potential top 10. It'll be fun to watch these players develop. Edit 8/2/17: R.J. Barrett has reclassified and now projects as one of the top prospects in the 2019 draft class. Here's the full 2019 mock draft.